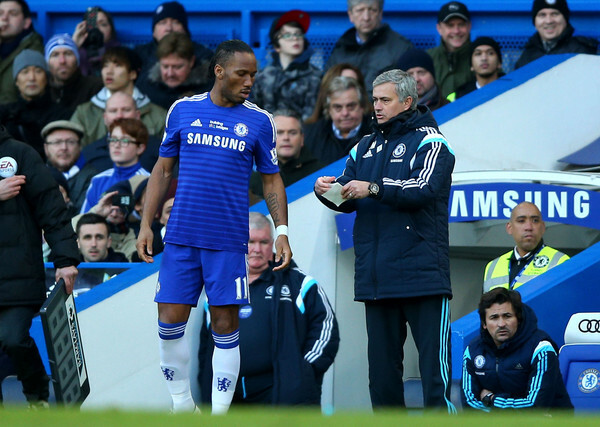 Chelsea legend Didier Drogba has hinted he would be making a move into management after ending his time on the pitch. José Mourinho the manager of Chelsea sends on Didier Drogba of Chelsea as a second half substitiute during the Barclays Premier League match between Chelsea and Burnley at Stamford Bridge on February 21, 2015 in London, England. Drogba officially ended his 20-year playing career at the age of 40 this week after enjoying a trophy-laden career that included four Premier League titles, four FA Cups, a Champions League trophy amongst others. The Ivorian striker has had the luxury of working under a number of world-class coaches in his eight years at Stamford Bridge, including José Mourinho and Carlo Ancelotti. In an exclusive interview with Tubes from Soccer AM, Drogba is confident he learned enough from them to set him up for a successful career in management. I've met enough managers to make it possible. I've worked with a lot of managers - different skills, different approaches - and I've played with a lot of very good players who understand the game. I learned so much that this could be an option, a good option. When you have Mourinho, Ancelotti, all these managers, and players like Frank Lampard, John Terry, Michael Ballack, Petr Čech, all these guys, you learn a lot. In a dressing room you experience so many things so when I ask if management could an option. Why not? I think I could do well.